1967-72 Studied at J.J. School, Bombay. 1981-82 Worked at Garhi Studios, in the Litho Section under Deviraj Dhakoji, New Delhi. 1973 Participated in the group exhb. of oil paintings (with Saleem and Sobha), Jehangir Art Gallery, Bombay. 1976 Group exhb. of paintings (with Nalini Malani and Kishen Khanna), Zeitgenossische Indische Kunst, Werl, Germany. 1980 National Exhb., Lalit Lala Akademi, New Delhi. 1983 `Seven Women Artists`, Art Heritage, New Delhi. 1983 National and International Graphics exhb. and Biennale, Bradford, England. 1983 Navjot and husband Altaf, works on paper, Zeitgenossische Indische Kunst, Werl, Germany. 1983 9th Independants Exhb. of prints in Kanagawa, Japan. 1984 10th Independants Exhb. of prints in Kanagawa, Japan. 1984 `Contemporary Indian Graphics`, U.S.A.
1985 First International Biennale of Prints, Sao Paulo, Brazil. 1985 `Navjot Und Altaf`, works on paper, Zeitgenossische Indische Kunst, Werl, Germany. 1986 `MAIE FORMY GRAFIKI POLSKA`, Lodz 87`. Govt. Museum, Chandigarh. National Gallery of Modern Art, New Delhi. Harsh Goenka & RPG Enterprises. Galerie Dedeke, Germany. 1968-72 Won various prizes for drawings and paintings as student of the J.J. School, Bombay. 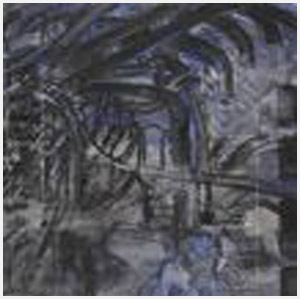 1971 Won prize at the Bombay Art Society`s Annual Art Exhb. (Student Section), Bombay. 1980 Won prize at the Maharashtra State Art Exhb., Bombay. 1983 AIFACS Award, New Delhi. 1984 Drawing 1983, Chandigarh. 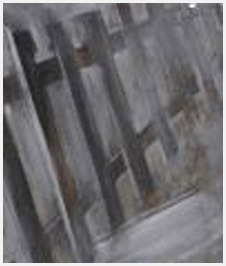 Navjot is a distinguished painter, sculptor, installation artist and filmmaker. Inspired by Marxist ideologies, she has consciously questioned various frameworks of social injustice bringing to her work a sense of social commitment. Explorative and experimental in material and medium, the artist maps the trajectories of memory, history and culture, interrogating the `body-politics`, seeing the self as the source of knowledge, and articulating one`s own experience to address issues related to social politics and art. 1983 Graphics Workshop at Baroda, organised by Urja Art Gallery, Baroda. 1984 Graphics Workshop- J.J.School, organised by U.S.I.S and Prof. Linghan, Bombay. 1986 Workshop of paintings organised by CMC, Calcutta. 1986-88 Workshop of paintings organised by `XAL Praxis`, Goa. 1988 Workshop of paintings organised by Genesis Art Gallery, Calcutta. 1992 Workshop of paintings organised by Goodrick & Genesis Art Gallery, Calcutta. 1993 Painting workshop organised by Sanghis, Hyderabad. 1993 Painting workshop organised by Arta Trust, Bombay. 1996 Organised a workshop for students from J.J. School of Art, Murud Janjira. 1998 Executed a project, `Chawal ki Kahini`, with school students in Kondagaon, Bastar. 2001 `Cyfuniad` International Artists` Workshop, Plas Caerdeon, Wales, U.K. 2001 `The Aesthetic Experience: An Experimental Workshop in New Media`, organised by `Artunderground`, Vadodara, Gujarat. 2001 `National Artists Camp`- Karnataka Chitra Kala Parishath Art Comple.